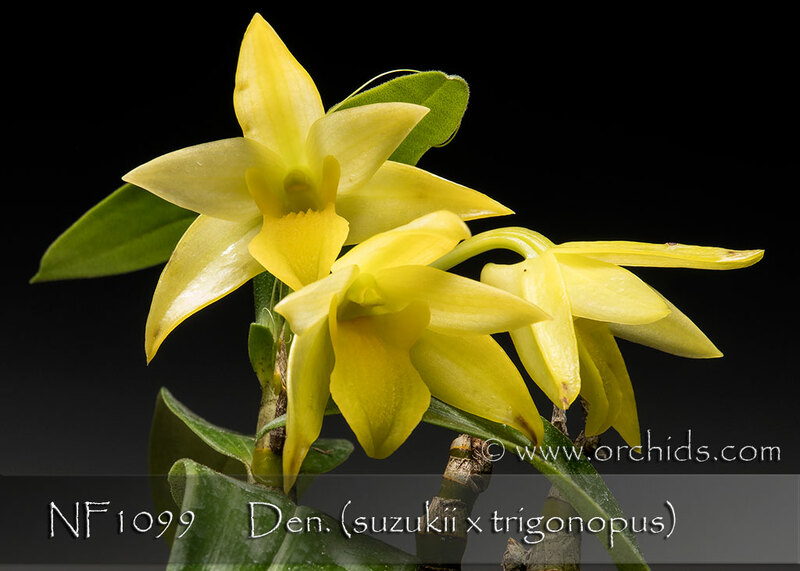 Two great waxy species parents combined will produce an amazing new hybrid ! 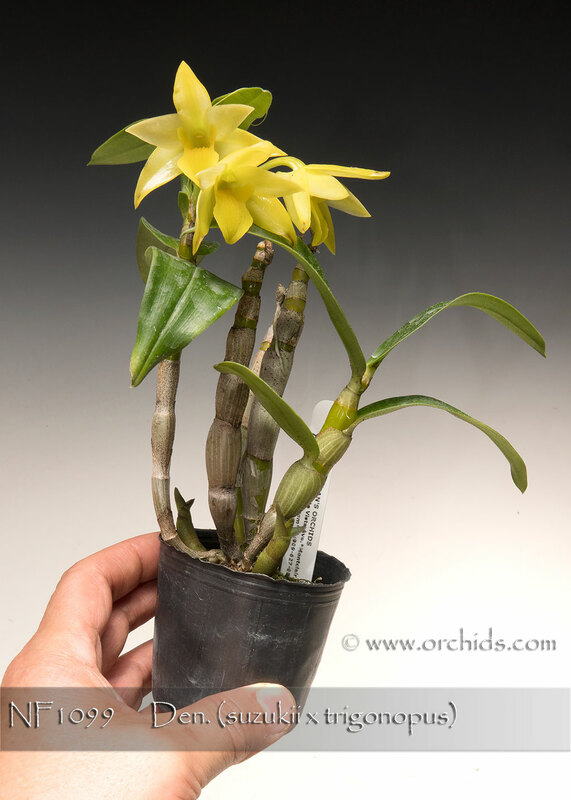 Expect waxy yellow-green flowers as a smaller grower with large 2” flowers produced from its nodes near the apex of both leafless and leafy canes. The pollen parent, Den. trigonopus, dominates this new hybrid with its smaller growth habit and more flowers. Highly Recommended for a great new direction in this line of breeding ! , Note: very waxy and long lasting flower.